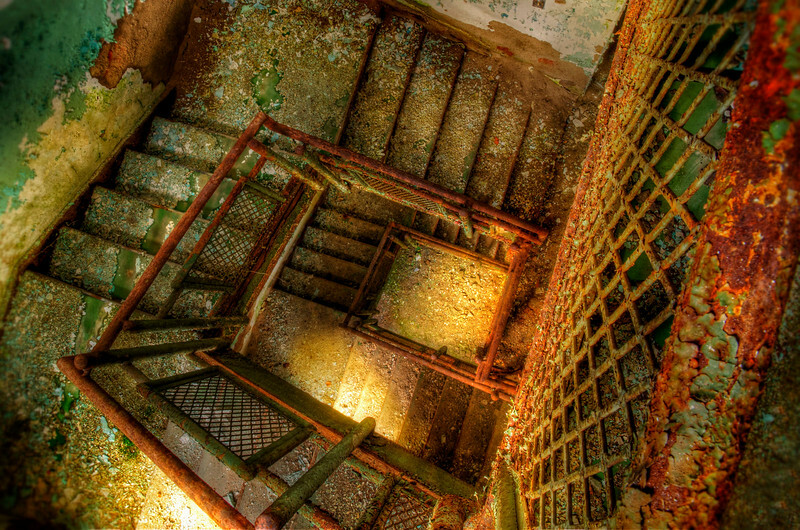 "Going Downward" -- A photograph of the corroded stairwell in one of the buildings at the Trans -Allegheny Lunatic Asylum in Weston, West Virginia. This is about a 15 second exposure. I also painted in the glowing light on the stairs.